Can ‘Tennessee Promise’ of free tuition offer lessons for Seattle and Washington? 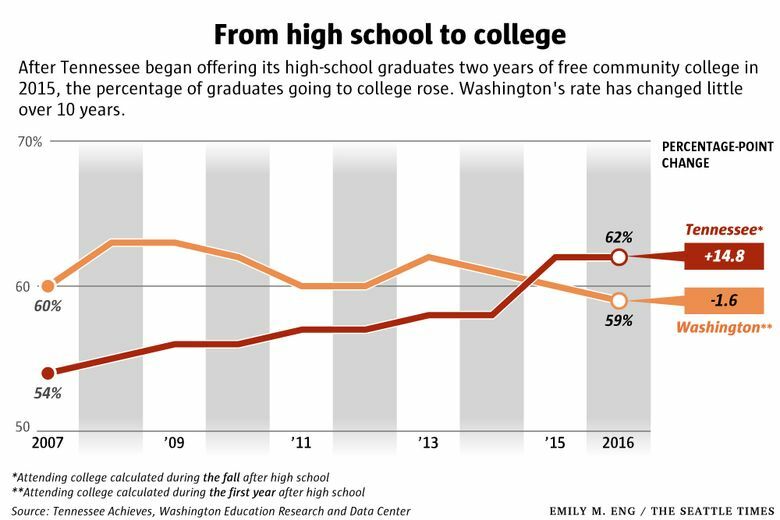 As Seattle Mayor Jenny Durkan pushes a plan to expand a free community-college program for high-school graduates, Tennessee’s college-going rate has shot up under its statewide plan. 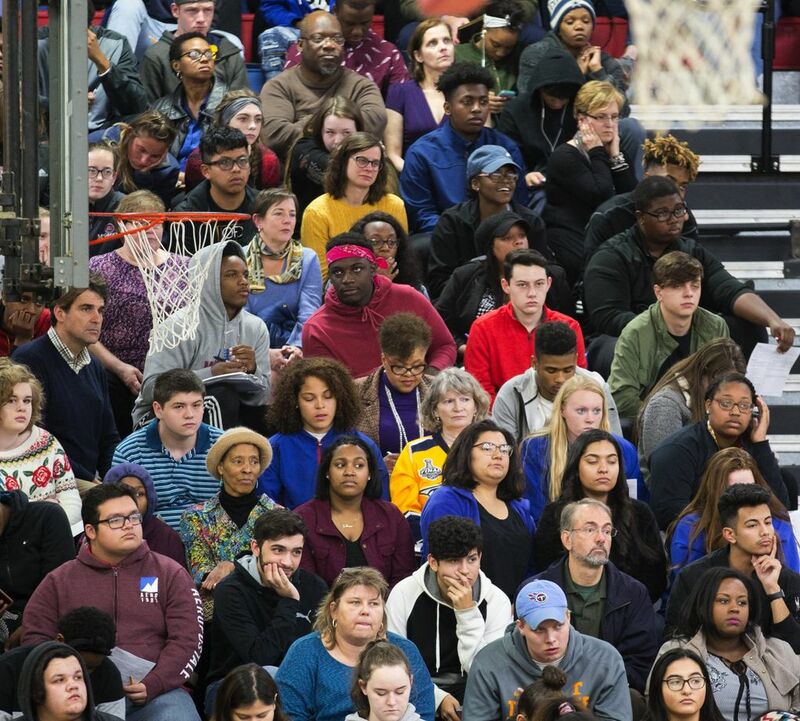 NASHVILLE, TENN. — Jamica Hines raised her voice and spoke loudly into the microphone, making 400-plus high-school seniors gathered in the gym at McGavock High School in Nashville sit up and take notice. “Who’s ready to graduate?” called out Hines, the coordinator of one of Nashville State Community College’s campuses, one April evening. “Who’s ready to go to college?” A cheer went up from the students. In Tennessee, every high-school senior is ready to go to college — for free. In 2015, Tennessee became the first state in the nation to promise a free community-college education to every high-school graduate. Through a program called Tennessee Promise, it didn’t matter how rich or poor, how high their GPAs were, or how low. Students only had to complete four simple paperwork steps, commit to going to school full time, and start classes the fall after they graduated. In a single year, Tennessee’s college-going rate shot up 4.6 percent — a major leap in a statistic that rarely moves, and a sign of progress in a state where only about a quarter of the population has completed a bachelor’s degree. At some schools, like McGavock, the results have been even more dramatic. Before the program, only about 35 to 45 percent of McGavock students went to college. Today, it’s upward of 75 percent, according to school officials. “What we have been able to do, fundamentally, is change the conversation about going to college,” said Mike Krause, who heads the state’s Higher Education Commission. While Seattle and Tennessee may seem worlds apart, this southern state may offer lessons for the Pacific Northwest, where Mayor Jenny Durkan has proposed a similar program that would allow any Seattle student to go to the city’s three community colleges tuition-free. Durkan’s sweeping, $636 million city-education levy, targeted for the November ballot, would spend $43.8 million over seven years to give students graduating from Seattle’s public high schools the opportunity to go to community college for two years for free. It would expand a privately funded program already in place, the 13th Year Promise Scholarship, that pays tuition for the first year of community college for students who graduate from Seattle high schools where incomes are the lowest. In an interview, Durkan said she fell in love with the 13th Year program when she was campaigning for mayor, and wants to grow and expand it. And she wants to challenge other mayors up and down the I-5 corridor to join in, making it a regional offer of free college. The 13th Year program “is changing lives in ways so fundamental, and really is part of who we are as Americans,” she said, noting that a high number of low-income students, and students of color, participate. In Tennessee, one of the keys to success has been keeping it simple. 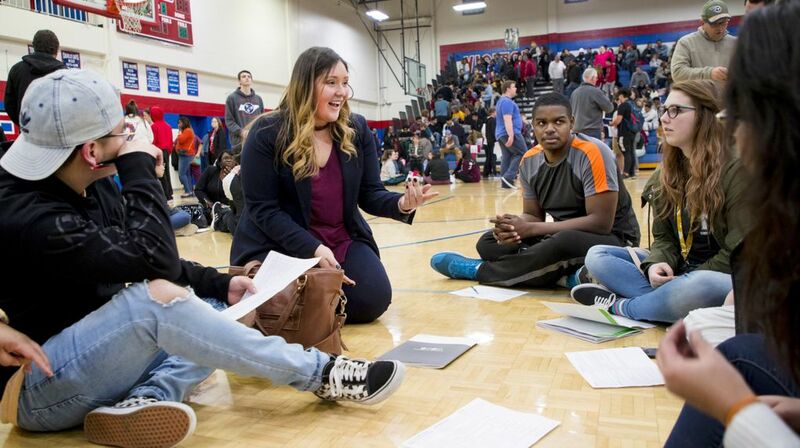 “You graduate high school, come to your meetings, and you can go to college — you’re in,” said Robbin Wall, the principal of McGavock High, a school where more than 70 percent of students qualify for free or reduced-price lunch. It’s also cost the state surprisingly little. Many who participate already qualify for federal financial aid, so Tennessee leverages that assistance, spending $33 million this year to send about 20,000 students to community and technical colleges. The money comes from an endowment created with lottery funds, and is not dependent on either legislative or voter support, unlike similar programs in other states. Tennessee is a conservative state, with a Republican governor and Legislature. So how did it come to adopt an idea beloved by liberals, championed by presidential candidate Sen. Bernie Sanders and endorsed by President Barack Obama? And could Seattle — and all of Washington — learn something about the best way to design a free college program? Tennessee’s state capital feels a little like a southern version of Seattle. Nashville’s skyline is crowned by 27 construction cranes, and fluorescent-shirted workers mix with the business crowd on downtown streets at lunch. It’s one of 20 cities in the running to be Amazon’s 2.0 headquarters. But low education levels have been a drag on the economy, where, increasingly, industries contemplating a move there were just as interested in being able to hire qualified workers as they were in securing tax breaks, said Krause, a key architect of the Tennessee Promise scholarship. For Tennessee, the wake-up call came in 2012, when Georgetown University’s Center on Education and the Workforce said the southern economy was 10 years behind the rest of the nation in terms of educational attainment. It predicted that by the year 2020, 55 percent of Tennessee jobs would require some kind of training or degree after high school. At the time of the report, just 36 percent of Tennesseeans had that kind of training. In Washington, about 51 percent of adults already have a degree or credential, so this state has a head start on Tennessee. But those numbers include the well-educated adults who moved here as part of the growth of the tech industry. 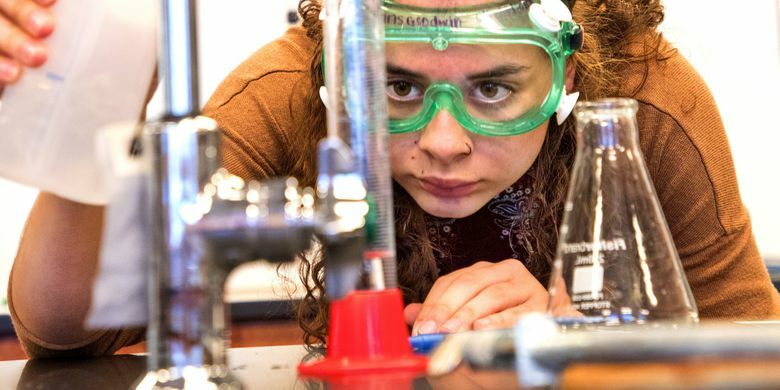 In a 2016 report by the Washington Roundtable, the business group found that only 31 percent of Washington public-school students have earned a postsecondary credential by the age of 26. Five years ago, the Washington Legislature set a goal that by 2023, at least 70 percent of this state’s adults would have a postsecondary credential. To meet that goal, almost 500,000 Washington adults will need to complete a degree or certificate. But in the five years since that goal was set, Washington’s numbers have hardly budged. Both states recognize an American economic reality: Fewer and fewer jobs require only a high-school diploma. As she was nearing the end of her senior year in high school, aspiring singer-songwriter Sarah Grenier was on the fence about college. On a whim, she called up Nashville State Community College to see if her Tennessee Promise application was still valid. In the fall, she enrolled. At Nashville State, Grenier is taking voice and piano lessons. She’s also studying the business and technical side of music, including studio sound production. In Nashville, live music hums and throbs in dozens of barbecue joints and restaurants every night. The city estimates music has a $10 billion annual economic impact on the region. A career in music here is as reasonable a choice as a career in software in Seattle. In Nashville State’s music lounge one day, Grenier hung out with some of her classmates, including Alan Bartee, another Tennessee Promise student with a soft speaking voice and a deep, operatic singing voice. Bartee pulled up the lyrics to “You’re a Mean One, Mr. Grinch” on his phone and, to the delight of his friends, sung the Christmas song a cappella — a dead ringer for the original by Thurl Ravenscroft. He’s planning to transfer to a four-year school when he is finished at Nashville State. Grenier echoes her friends’ thinking about using Tennessee Promise to pursue her dreams, without racking up bills and debt. 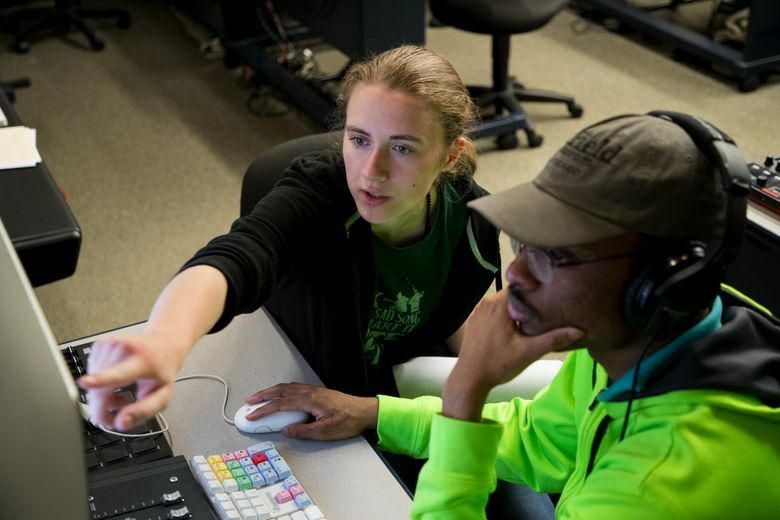 Twenty minutes south of Nashville, Tom Portillo and David Jones are wheeling around industry-standard cameras and lighting in a basement film studio at the new Franklin campus of Columbia State Community College. Their Tennessee Promise money is paying for a 12-month certificate course in film crew technology. 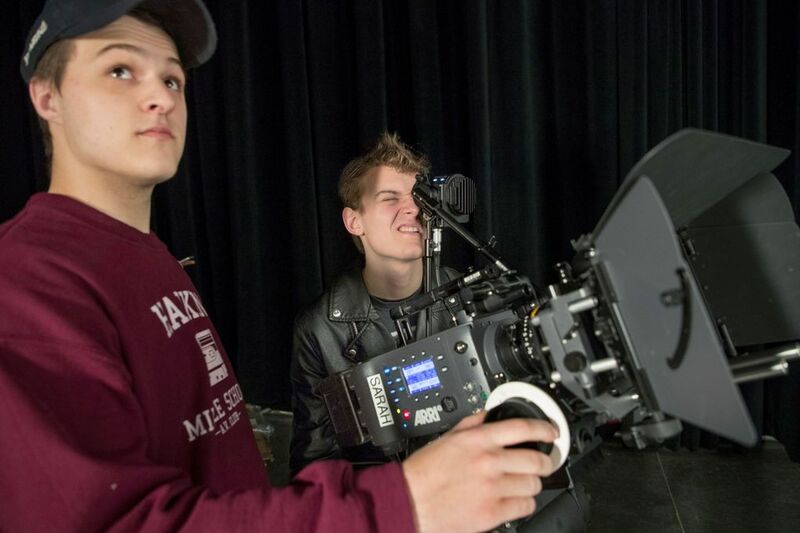 “When I heard about two years of college tuition-free, I said yes, please,” said Jones, who will be qualified for jobs like grip, gaffer and production assistant when he graduates. Fellow student Maris Goodwin is using Tennessee Promise as a launchpad to a bachelor’s degree. Her plans didn’t include living at home and going to community college, but “my parents kind of pushed me to do it,” she said. “At first I thought this was going to be horrible. It ended up being pretty cool.” She is on track to transfer to a four-year school in the fall. Republican Gov. Bill Haslam launched a countywide free community-college program in the early 2000s, using private donations, when he was mayor of Knoxville. After he was elected governor, he made free community college statewide the linchpin of a program called “Drive to 55” — getting 55 percent of Tennesseans to earn a college degree or credrential by 2025. Why free? Haslam believed the logistics of going to college — the application deadlines, the financial-aid paperwork — were more challenging to many students than mastering the academics, Krause said. The key: Make it simple to go to college. No minimum GPA, no income cutoff, no requirement to stay in-state after graduation. Every program is open, from four-month technical certificates to two-year transfer degrees. Washington state also offers tuition-free college through a program called College Bound — not limited to community college — but there are conditions. To enroll, students must be low-income, sign up in the eighth grade, keep a 2.0 GPA in high school and stay out of legal trouble. Some experts believe those steps make it less likely students will participate. And the program doesn’t cover students who moved here after eighth grade or whose family income rose after eighth grade or fell before 12th grade. Tennessee does make demands of its students. They have to be in a career-oriented program ­— they can’t just take pottery classes, for example — or must be planning to transfer to a four-year college. They have to go to school full time. They have to perform eight hours of community service each semester. Through a nonprofit called Tennessee Achieves, every student is paired with a volunteer mentor — an adult who knows the college ropes — and must meet with that mentor two times. After five semesters, if the student hasn’t graduated, the money dries up. Haslam’s most persuasive talking point: Economic research showed that Tennesseans who did not have any kind of post-high-school training made an average of only $10,000 annually. A 2012 report on Tennessee earnings found that graduates of the state’s 13 community colleges made an average wage of $38,948. That underscored the idea that a postsecondary credential was no longer optional — it had become a passport to a living wage. 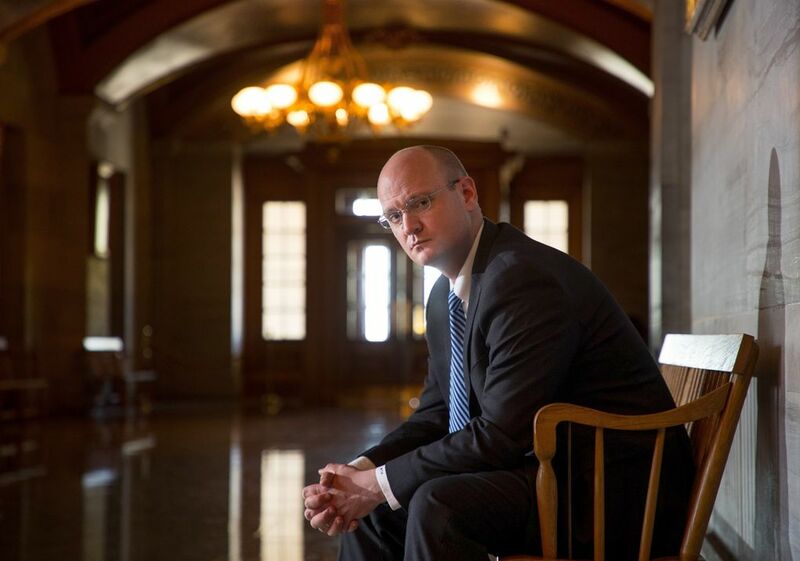 “The state has done a really impressive job on the messaging,” said Will Doyle, an associate professor of higher education at Vanderbilt University in Nashville. Doyle says Tennessee Promise dollars primarily go to middle-income students who didn’t have stellar grades in high school. Low-income students were always eligible for federal money — but many didn’t know it. Free college caused a mindshift among many Tennesseeans, who now see the college doors open to everyone. “That’s a tremendous change,” Doyle said. And although the program is still young, its first results are encouraging. Nearly 22 percent of the high-school class of 2015 who received Promise money have graduated. Only about 8 percent of non-Promise students from that year graduated. Some worry that diverting low-income, academically talented students to community college could make it less likely that those students ever earn a bachelor’s, Doyle said. Research shows that students who want a bachelor’s, but start at a community college, are less likely to ever complete the degree. It’s not clear why, although researchers have speculated that four-year colleges don’t put in adequate supports for transfer students, Doyle said. 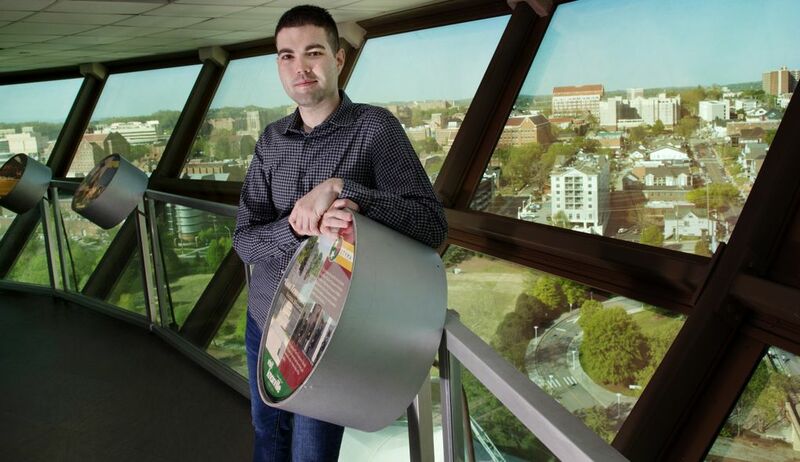 Jordan Robinson doesn’t intend to be one of those students who never finishes. Robinson, of Knoxville, was admitted to six four-year colleges in her senior year, but she chose Pellissippi State Community College in her hometown instead, in large part to save money. She’s an exuberant student who’s been getting top grades at Pellissippi. 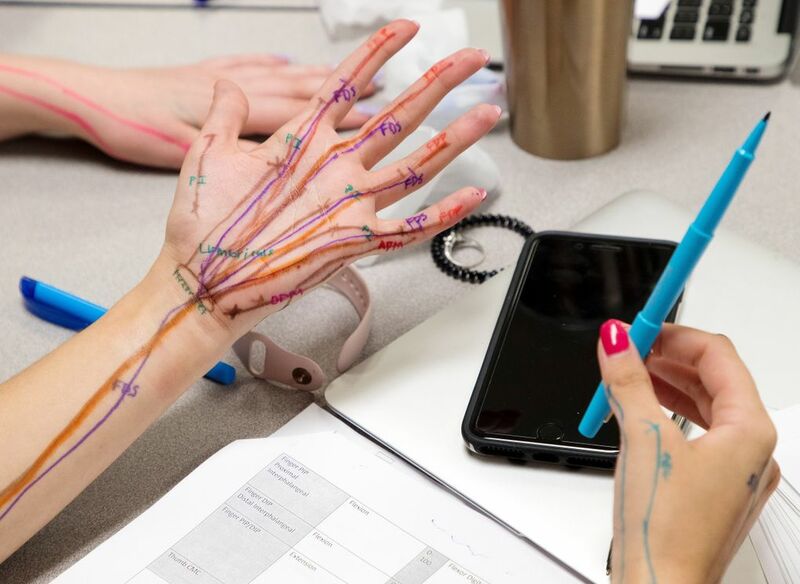 She’s going to the University of Tennessee at Knoxville this fall, and plans to become a trauma surgeon — she’s already had several job shadows in a hospital operating room. With in-state tuition and fees running $12,970 at UT Knoxville, she’s saved more than $25,000 by finishing her first two years at Pellissippi State. For a smart student like Robinson, college was always a given. But not for Zachary Bowling. Until his senior year in high school in 2012, Bowling didn’t think he had the academic ability to attend college, and in any case his family couldn’t afford it. Then the Knoxville student took a banking class in high school, and realized he was good at finances. Bowling didn’t want to borrow money for college, but with Tennessee Achieves — the name of the Knox County program that started it all — he didn’t have to. He started at Pellissippi State after graduation. In a stroke of good fortune, his mentor was CEO of a mortgage company, and Bowling got a part-time job with the company while he was still in college. Today, he works there full time. “If it wasn’t for Pellissippi State and Tennessee Achieves, I would not have a bachelor’s today,” said Bowling.